Reel Island is one of the most exciting new online casinos available for players from most countries in the world. This casino was launched in 2015 and belongs to a very exclusive group of top-quality casinos managed under the flag of the mighty Imperium Network Solutions Limited. This ensure that players will have access to one of the very best casino games platforms available today. The list of games providers that supply this casino with games is very long and impressive. Players at Reel Island can enjoy the best games from Quickspin, Ezugi, Thunderkick, NYX Gaming, Leander Games, Nextgen Gaming, 1X2 Gaming, Aristorcrat, Betsoft, Amaya and NetEnt and more. If you enjoy playing the latest and the best online casino games then Reel Island might be exactly the place for you. Reel Island is available in a number of different languages including English, Finnish, German, Norwegian and Swedish. They have an excellent customer support team which are available 24 hours a day – seven days a week and you can reach them by e-mail and live chat. Reel Island also offer an extensive help section where members can easily locate the solution for the most common queries that might arise. Reel Island is managed by a very professional team of online casino experts so there will not be any problems at all to enjoy one of the best casinos on the market. Reel Island is owned by Caddell Limited NV and managed and operated by White Hat Gaming Limited. They are licensed by the UK Gambling Commission and the Government of Curacao. Reel Island: New Player Welcome Package of €/$700 + 100 Free Spins! 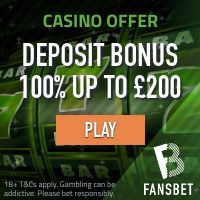 First Deposit – Get 100% up to €/$100 + 25 Bonus Spins on Starburst! Second Deposit – Get 50% up to €/$200 + 25 Bonus Spins on Aloha Clusters! Third Deposit – Get 25% up to €/$400 + 50 Bonus Spins on Guns n Roses! The minimum deposit for any of the deposit match bonuses included in the welcome package is €/$10. The bonus wagering requirement is 35 times your bonus amount. Reel Island: Fully Loaded With Tons of More Player Bonuses! That’s right! Once you are a member at Reel Island you will get access to some really rewarding casino promotions. This will keep you happy as a player since almost every deposit at Reel Island will be honored by a great bonus promotion. They apply a 10% Ongoing Bonus where new and old players can claim a 10% deposit bonus on EVERY deposit they do. The cap on the bonus amount is €/$50. In addition to this you can claim a bonus every day of the week! How about MONDAY BLUES BUSTER, MYSTERY BONUS MUST HAVE TUESDAY, BREAK THE BANK WEDNESDAYS, TREMENDOUS THURSDAY and DISH OF THE DAY (every weekend)? Reel Island is a great casino for players that enjoy different and exciting bonuses. Reel Island accepts all major payment methods. So there is no problems to use credit/debit cards, e-wallets like Neteller and Moneybookers Skrill and several solutions for direct bank transfer including Poli, Trustly, GiroPay, Sofort and many more. All transactions are processed in a safe and secure environment. Reel Island offer a massive portfolio of online videoslots from the most trusted and popular games providers on the market. Some of the most popular videoslots available at Reel Island are THEME PARK, MONSTER WINS, GUNS N ROSES, WITCH PICKINGS, JIMI HENDRIX SLOT, MEGA FORTUNE, KOI PRINCESS, STEAM TOWER and TACO BROTHERS. North Korea, Iran, Bolivia, Cuba, Ethiopia, Sweden, Ghana, Indonesia, Kenya, Myanmar, Nigeria, Pakistan, Sao Tome and Principe, Sri Lanka, Syria, Tanzania, Thailand, American Samoa, Belgium, Bulgaria, Denmark, France, Guam, Israel, Italy, Latvia, Northern Mariana Islands, Spain, Turkey, United States Minor Outlying Islands, United States of America and US Virgin Islands.